“You guys are great. This is a great tool to provide a more efficient, controlled operation while installing numerous piles with awesome precision. 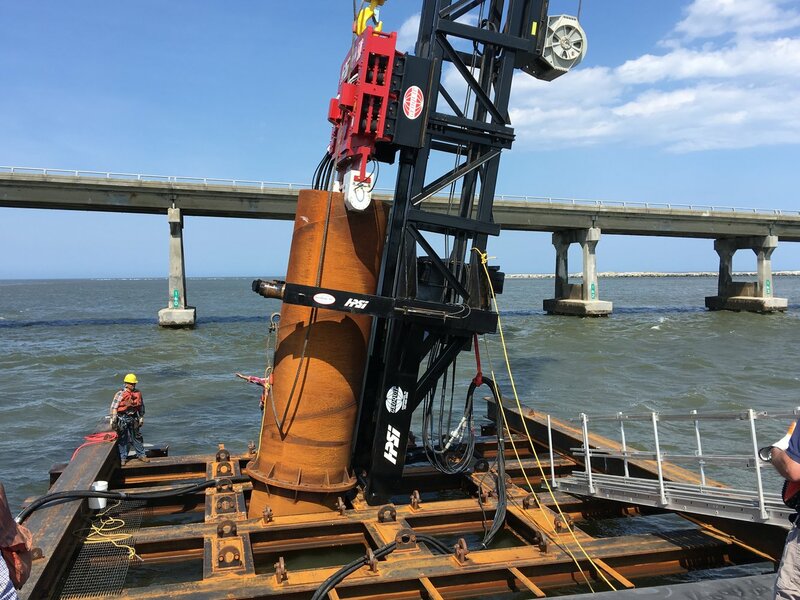 This will be a desired tool for many contractors.” -Robert W. Gajowski, NCDOT Transportation Technician from the Manteo Resident Engineer Office commenting on the custom lead systems GeoQuip designed exclusively for PCL’s Bonner Bridge Project.